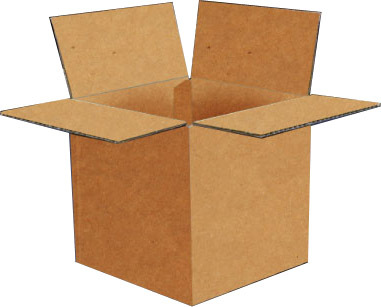 Stock boxes and custom boxes for packing cans, metal and plastic pails, are available. Lightweight reverse tuck mailers and tucklock mailers are shipped flat and are easily assembled. 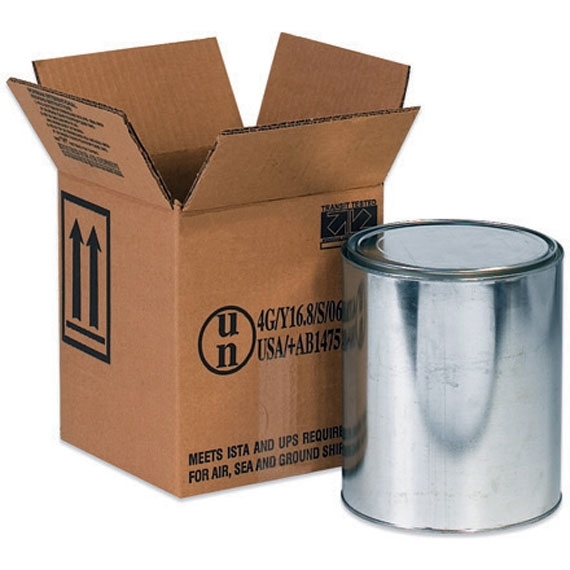 UN Certified packaging is available for paint cans. 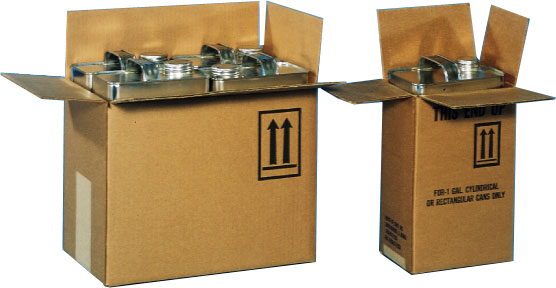 Heavy duty overpack boxes are in stock for one gallon and 5 gallon steel pails. Also see our Plastic Pails page.